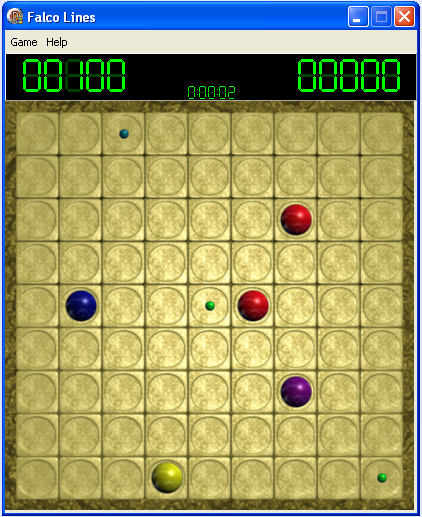 The game starts with a 9x9 board with three colored balls selected from seven possible colors. The player may move one ball per turn, and only to a particular space on the board if there is a path (linked set of vertical or horizontal empty cells) between the current position of the ball and the desired space. The goal is to remove the balls by forming lines (horizontal, vertical or diagonal) of at least five balls of the same color. When such line is completed, the balls in those lines disappear and he gains one turn, i.e. he can move another ball. If not, three new balls are added, and the game continues until the board is full.